Established in 1857, the Peabody Institute is the second-oldest conservatory in the United States and a landmark at the southeast corner of the Washington Monument. Born in 1795 in Massachusetts, George Peabody lived briefly in Washington, DC, fought in the War of 1812, and, in 1816, settled in Baltimore where he lived for the next 20 years. Starting in the wholesale dry goods business and later through banking and finance, Peabody accumulated a tremendous fortune eventually moving to London to direct the banking firm of George Peabody & Co. Inspired by the many cultural and educational opportunities available to residents in London, Peabody set out to bring these same opportunities to the United States through philanthropy. 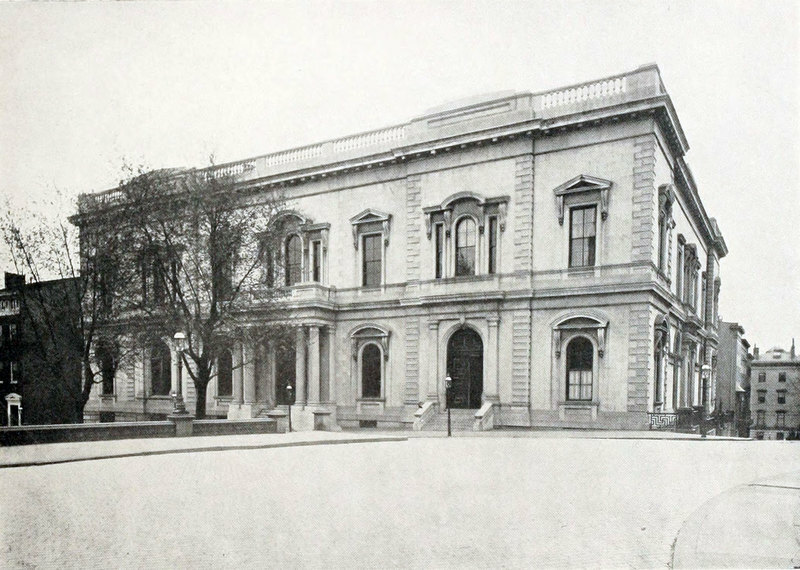 The most significant of these efforts remains the Peabody Institute, founded in 1857 through a donation of $1,400,000. 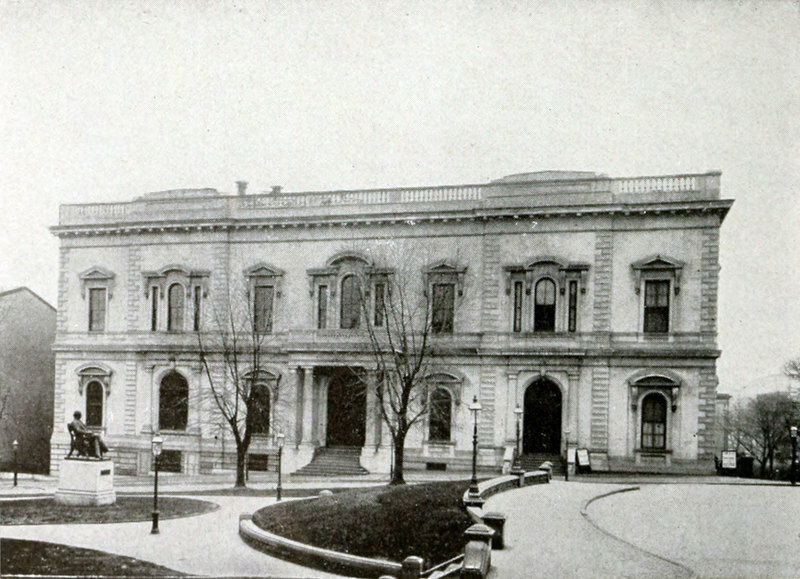 The construction of a home for the new Peabody Institute was delayed by the start of the Civil War, the Conservatory building opened in 1866. The Conservatory was joined in 1878 by the George Peabody Library, directly to the east, opened in 1878 and is one of the most spectacular enclosed spaces in our city. 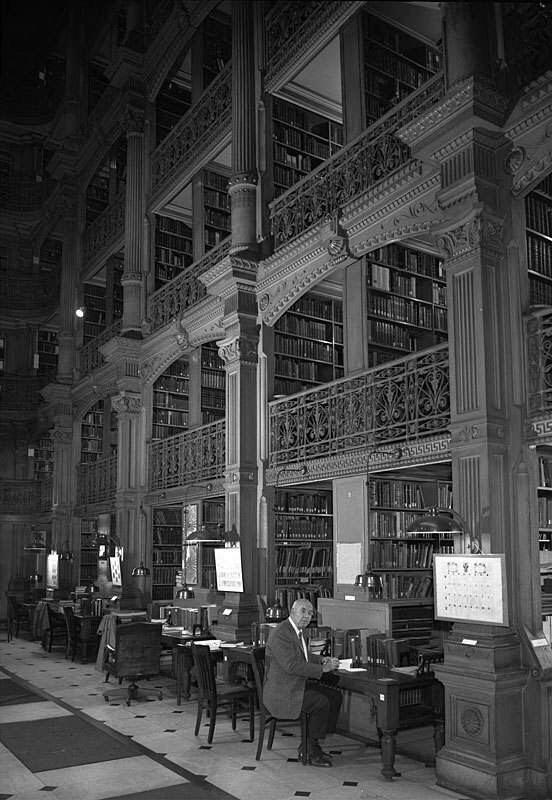 Designed by architect Edmund G. Lind, in collaboration with the first provost Dr. Nathaniel H. Morison, the library is distinguished by the unique interior architectural ironwork fabricated by the Bartlett-Robbins & Company. The Peabody Stack Room features five tiers of ornamental cast-iron balconies that rise to a skylight set 61 feet above the floor. 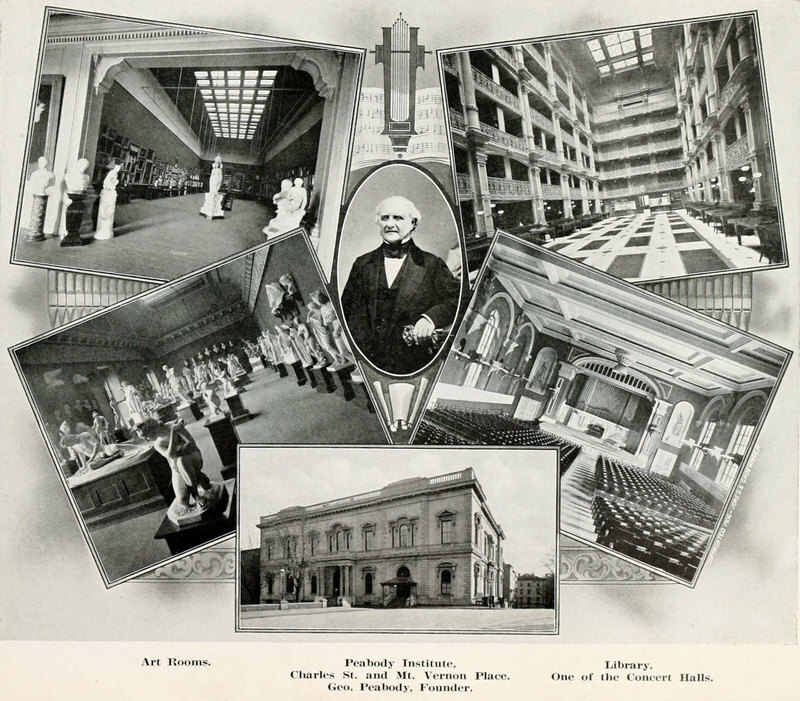 The building is a rare example of Edmund Lind's architectural work as only a few other surviving buildings remain from his prolific 40-year career. 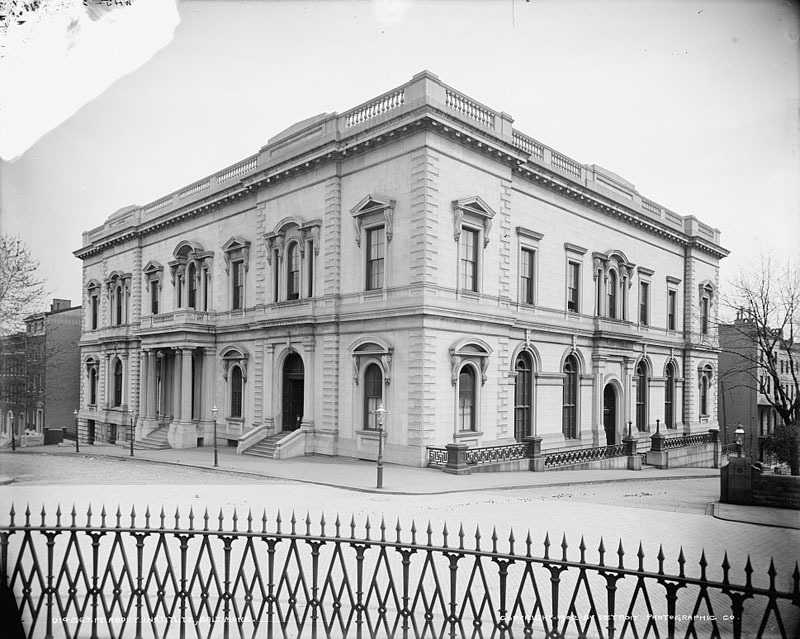 “Peabody Institute,” Explore Baltimore Heritage, accessed April 23, 2019, https://explore.baltimoreheritage.org/items/show/54.